Enriched with rich industry experience, we are committed towards manufacturing, trading and supplying a qualitative range of Single Girder EOT Cranes. Our offered EOT cranes are developed at our manufacturing unit by utilizing progressive techniques and top notch material keeping in mind the set norms of industry. Along with that, our EOT cranes can be customized according to the market preferences & customer’s specifications. Customers can avail these EOT cranes from us at industry leading rates in a stipulated time period. We are the leading manufactures and suppliers of Single Girder EOT Cranes in Coimbatore, Mettupalayam, Salem, Tirupur, Pollachi, Trichy, Salem, Erode, Madurai, Tirunelveli , Chennai, Nagarkovil, Kanniyakumari, Tuticorin, Namakkal, Vellore,Theni, Dindugul, Ooty, Kunoor, Valparai, Kodaikanal, Kannur, Kozhikode, Malappuram, Palakkad, Wyanad, Kasargod, Kalpatia, Thrissur, Eranakulam, Iduki, Kootayam, Alapuzha, Kollam, Thiruvananthapuram, Patmanathitta, Kurnool, Anantapur, Cuddapah, Nellore, Chitoor, Prakasam, Guntur, Krishna, West Godaveri, East Godaveri, Vishakapattinam, Chikmangalur, ChitraDurga, Hassan, Tumkur, Mandya, Bangalore, Kodagu, Mysore, Kolar, Tamilnadu, Karnataka, Andrapradesh, Kerala and India..
We are leading manufacturers and suppliers of Single Girder Gantry Crane to our clients. single girder cranes are fabricated using premium quality raw material and designed using latest CAD facility to suit the clients requirements. Our engineers and researchers carefully study and do detailed analysis of clients requirements before deciding the suitable design. This enable us to reduce cost by designing optimum single girder cranes designs, minimum crane structural weight, wheel loads headroom and clearances. 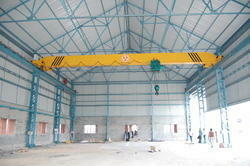 We are leading manufacturers and suppliers of SG Gantry Crane to our clients. single girder cranes are fabricated using premium quality raw material and designed using latest CAD facility to suit the clients requirements. Our engineers and researchers carefully study and do detailed analysis of clients requirements before deciding the suitable design. This enable us to reduce cost by designing optimum single girder cranes designs, minimum crane structural weight, wheel loads headroom and clearances. We are the leading manufactures and suppliers of SG Gantry Crane in Coimbatore, Mettupalayam, Salem, Tirupur, Pollachi, Trichy, Salem, Erode, Madurai, Tirunelveli , Chennai, Nagarkovil, Kanniyakumari, Tuticorin, Namakkal, Vellore,Theni, Dindugul, Ooty, Kunoor, Valparai, Kodaikanal, Kannur, Kozhikode, Malappuram, Palakkad, Wyanad, Kasargod, Kalpatia, Thrissur, Eranakulam, Iduki, Kootayam, Alapuzha, Kollam, Thiruvananthapuram, Patmanathitta, Kurnool, Anantapur, Cuddapah, Nellore, Chitoor, Prakasam, Guntur, Krishna, West Godaveri, East Godaveri, Vishakapattinam, Chikmangalur, ChitraDurga, Hassan, Tumkur, Mandya, Bangalore, Kodagu, Mysore, Kolar, Tamilnadu, Karnataka, Andrapradesh, Kerala and India.. 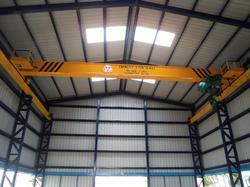 Looking for Single Girder EOT Cranes ?